Unfortunately, literally thousands of California motorists and pedestrians are injured or killed each year because of accidents caused by other negligent drivers. 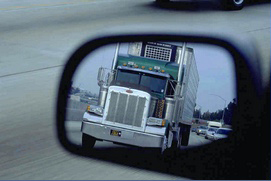 Not surprisingly, negligent truck and tractor-trailer drivers are often involved in the most serious auto crashes, but even a “fender bender” rear end collision by any size vehicle can cause serious long term injuries. 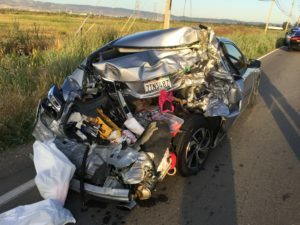 At Golden Gate Law Group we have established a solid reputation across Northern and Southern California for the timely and cost-effective negotiation and litigation of California auto accident lawsuits and settlements. We have, for over 35 years of personal injury experience, helping literally thousands of California families to recover emotionally, physically, and financially after a serious auto injury or wrongful death of a family member. We always consider and investigate the possibility that motor vehicle defects contributed to your injuries along with other causes such as driver error or dangerous road conditions. The injuries suffered during a negligent car crash on California roads can be catastrophic, including spinal cord injury and brain damage. 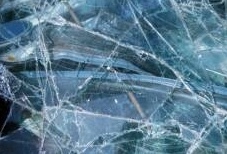 More importantly, not all injuries can be easily or immediately diagnosed following an auto or motor vehicle accident. Many injuries are latent, not manifesting themselves fully for months or even years after a head-on collision or SUV rollover. Each auto accident lawyer at Golden Gate Law Group will ensure accurate assessment of your injuries and that you receive the best medical care available, with no out-of-pocket expenses. It is always a good idea at least to consult with an experienced California auto accident attorney after a negligent auto accident. The insurance company will try to coerce statements and documents that will limit your ability to collect compensation for your bone fracture, burn injury, spinal cord, or head or brain injury. The car crash lawyers at our firm will deal directly with the insurance company, and we won’t hesitate to take your case before a judge if it’s the only way to recover maximum compensation. Our auto, truck and motorcycle vehicle accident lawyers will independently investigate the accident, assess your injuries and secure a settlement for medical bills, lost wages, long-term care, and punitive damages. In the meantime, be sure to write down exactly what happened to cause the accident, use our Motor Vehicle Accident Checklist for your reference. Our California personal injury clients look to us for compassionate legal advice and aggressive representation in the courts. Let us level the playing field against the insurance company. Immediately after an auto-truck accident or negligent drunk driving accident, contact car crash lawyer to help you preserve the evidence and protect your rights. The consultation is free and there is no pressure, no obligation, and no fees until the attorney recovers compensation for you. These are only a small sample of the hundreds of auto accident results we have handled.